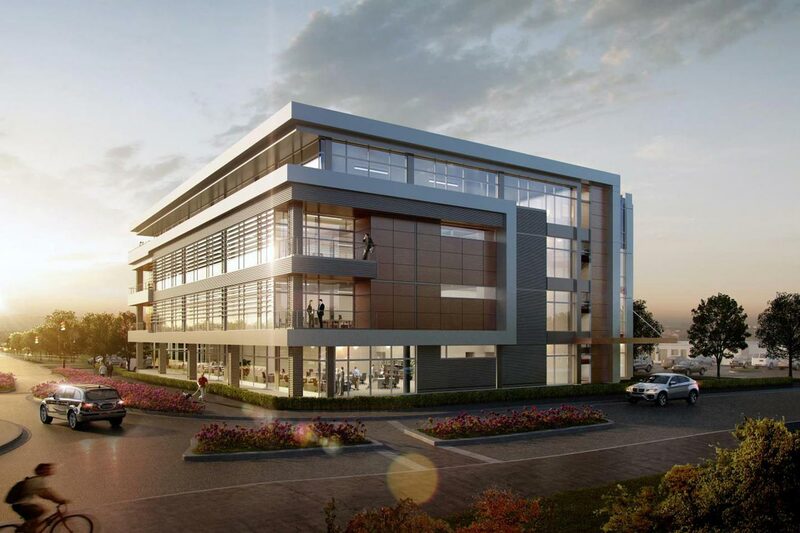 O’Steen Bros., Inc. was recently selected as the site contractor for Ingenuity, a state-of-the-art, 50,000-square-foot office building developed by Gainesville commercial real estate firm Trimark Properties. The four-story building will stand at 643 SW 4th Avenue in the heart of Innovation Square, the city’s growing business district between downtown Gainesville and the University of Florida campus. It will exhibit a modern appearance with floor-to-ceiling windows and balconies on each floor, as well as a spacious interior that has the option to be fully-customized for its future tenants. Ingenuity is the latest collaborative project between Trimark and O’Steen Brothers, who have previously worked together on a variety of commercial developments around the Gainesville area. Most recently, O’Steen Bros. completed site work for Nimbus, another luxury office building located in Innovation Square that opened its doors in late 2015. O’Steen was also chosen to perform site prep for several of Trimark’s luxury Gainesville apartments, including Tuscana, Solaria Phase II, Greystone, Camden Court, Sabal Palms, Stratford Court II, and Deco ’39. O’Steen Brothers began Ingenuity’s site work in mid-March. The office building is expected to open its doors in January of 2018.